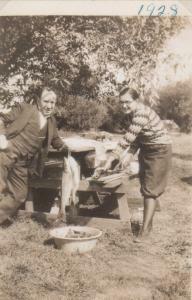 Arnott and Vederoff Ancestors - Nina L. Tunik with her father, Lavik. Photo taken in 1929. Nina L. Tunik with her father, Lavik. Photo taken in 1929.